June 26, 2018 – The Social Innovation and Entrepreneurship Development Fund (SIE Fund) engaged St. James’ Settlement (SJS) to take forward the Fund’s Food Support Flagship Project and launch the FOOD-CO platform, the first all-round food support collaborative platform in Hong Kong, to enhance the efficiency and effectiveness of food support services with the use of technology and data analysis. With FOOD-CO registering significant results within its first year of operation, SJS and the SIE Fund jointly held a media briefing today to announce the project’s achievements as well as the latest state of play of the food support services in Hong Kong. After the briefing, the partners recognition ceremony, officiated by Mr. Matthew Cheung, Chief Secretary for Administration of the HKSAR, was staged in appreciation of the support of all FOOD-CO stakeholders for the platform. FOOD-CO first went on trial in Kwai Tsing, Kwun Tong and Yuen Long in May last year. Within six months, the food support service points in those three districts have increased from 27 to 47 while the number of meals served daily has more than doubled, both exceeding the projected service targets. Since November last year, FOOD-CO has rapidly expanded to cover all 18 districts across Hong Kong. The results are encouraging. With the remarkable progress achieved so far, it is projected that both the numbers of meals and beneficiaries to be served daily for the whole of Hong Kong by mid-2019 will surpass the original targets set for end-2019. “FOOD-CO has received overwhelming responses from different sectors since its launch. After a trial of six months in Kwai Tsing, Kwun Tong and Yuen Long, both the numbers of meals and beneficiaries served daily in the three districts have more than doubled while the amount of surplus food recovered have increased by 90%, overshooting the respective original targets. 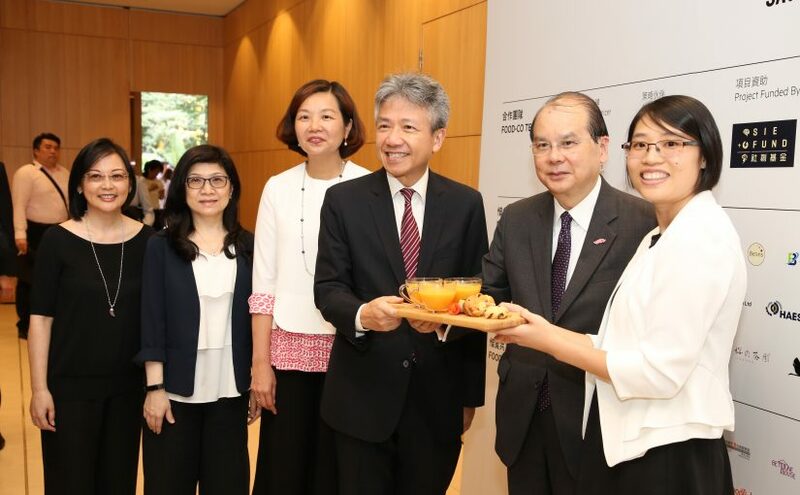 Moreover, FOOD-CO has expanded rapidly from three to 18 districts in merely six months,’ Professor Stephen Cheung Yan-leung, Chairperson of SIE Fund Task Force, said. “SJS has been in the forefront of food support service for many years. With the support of the SIE Fund, we are running the FOOD-CO platform with a commitment to promoting cross-sector collaboration and consolidating social resources to assist people in need. FOOD-CO has achieved significant results within its first year of operation and that would not have been possible without the support and hard work of various stakeholders. We will be working even harder to spread the message of ‘Save & Share’, reduce food waste and promote good living,” said Ms. Josephine Lee, Chief Executive Officer of SJS. Revd Leung Yau-tung, Chief Executive of Mission to New Arrivals Limited, another beneficiary organisation of FOOD-CO, commented on the ease of use of the FOOD-CO app that facilitates coordination among districts, especially on logistics support. A food support service point can connect its counterparts more efficiently and directly. This expedites food collection and reduces the cost and time spent on transport. FOOD-CO is now calling on food support service providers and corporates to download the FOOD-CO mobile app and join the collaborative platform. The public can also locate food support service points in different districts through the “Food Sharing Map”. For details, please visit https://food-co.hk/main/zh or call 21175855. © 2017. FOOD-CO.hk All Rights Reserved.